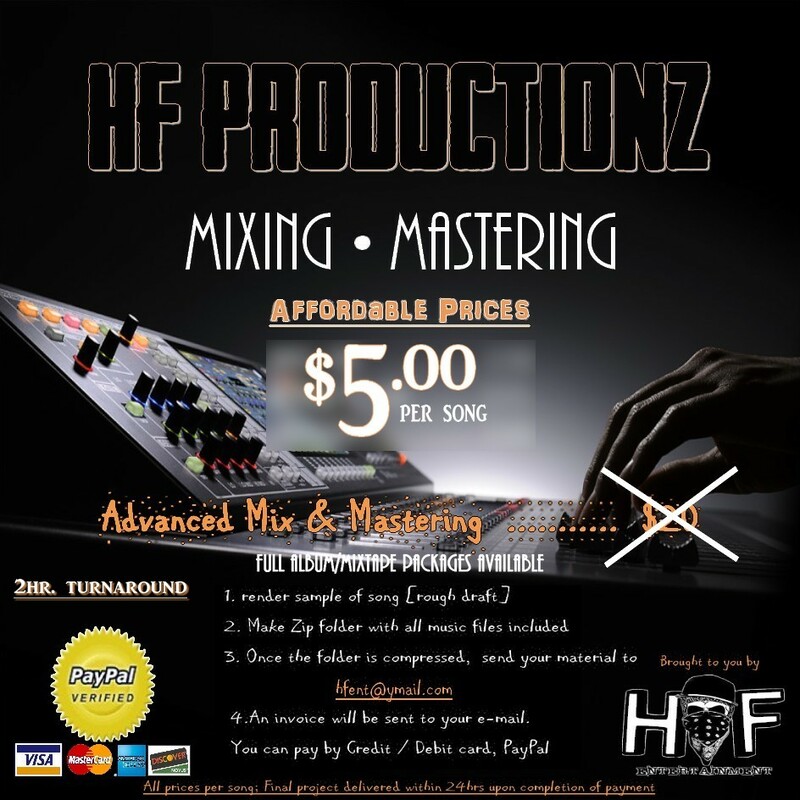 and the highest quality Mixing and Mastering Services you will ever find online. Being able to deliver your projects within 24 HOURS OF RETURN TIME while turning your track into a masterpiece. Get your songs ready and Let us take your your music to the highest level possibly Today!